Melissa officinalis, also known as lemon balm, received the name "Melissa" because of its sweet, fresh, citrus-like fragrance, which was known to attract bees (Melissa is Greek for "honey bee"). 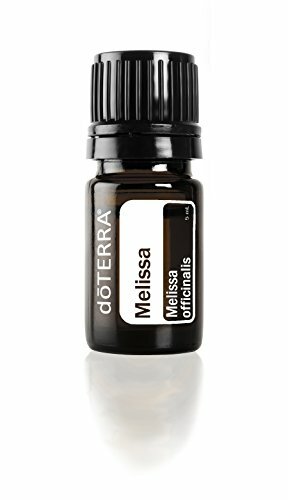 As one of our rarest and most expensive oils, Melissa has a wide range of health benefits and uses. Melissa is used as a flavor in teas and ice cream as well as with some fish dishes. Because of its positive effect on mood, Melissa has long been used to calm feelings of tension and nervousness. Diffusing Melissa at night can help initiate a restful sleep environment and promote emotional well-being. Melissa may also help to support a healthy immune system. Diffuse at night or rub on forehead, shoulders, or chest to help lessen feelings of stress and promote emotional well-being. Diffuse to create a relaxing environment that encourages a restful night's sleep. Add to moisturizer or a spray bottle with water and spritz on face to rejuvenate skin and refresh the mind.